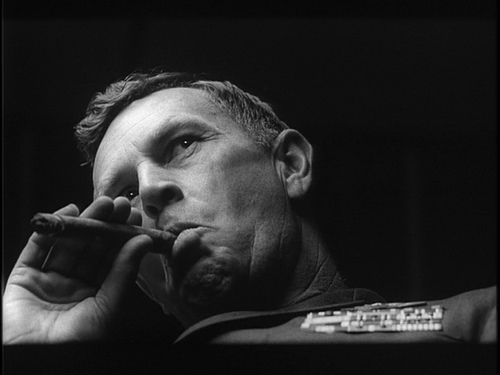 One of my favorite movies of all time is Stanley Kubrick’s Dr. Strangelove. The characters are absolutely over the top: Peter Sellers with three roles as Group Captain Lionel Mandrake, President Merkin Muffley and Dr. Strangelove, George C. Scott in what I think is his finest performance as General “Buck” Turgidson, and Sterling Hayden as the insane General Jack D. Ripper. Early in the movie, Ripper orders a nuclear strike on the Soviet Union and then rambles on to Mandrake about all the commie plots in the U.S., specifically the fluoridation of water. General Jack D. Ripper: But that’s just the beginning. Do you realize that in addition to fluoridating water, why, there are studies underway to fluoridate salt, flour, fruit juices, soup, sugar, milk… ice cream. Ice cream, Mandrake, children’s ice cream. Mandrake: I… no, no. I don’t, Jack. Ripper: [somewhat embarrassed] Well, I, uh… I… I… first became aware of it, Mandrake, during the physical act of love. Now I don’t know about you, but I don’t think I am much the worse for wear as a result of drinking barge loads of fluoridated water over the years. However, the same can not be said for children in this country playing with toys that contain horrible substances like lead and other noxious chemicals. The majority of the toys sold in this country are not made here. Most are made in China. I don’t know about you but Chinese toys make me nervous. Having a child put a toy made in China into his mouth gives me pause. Chinese products headed the list of items recalled by the U.S. Product Safety Commission by a wide margin. To be fair, this isn’t that surprising since we imported almost $24 billion worth of toys from the Middle Kingdom last year. If you want to spare your kiddos or Grand kiddos from having the dubious opportunity to play with Chinese toys, why not give them American toys? Here are a few to consider. 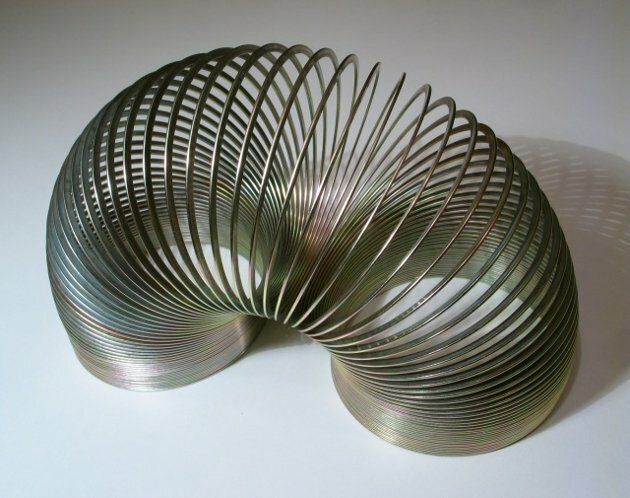 I still have fond memories of Slinky sessions as a kid. The Slinky is still made in Hollidaysburg, PA.
Knex are actually a reshored product. 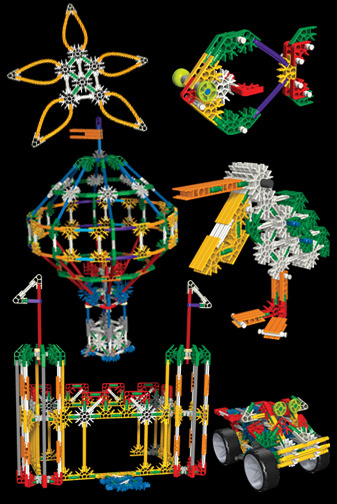 Up until 2008, a lot of Knex products were made in China, but the Glickman family decided to bring production back to the U.S., for a number of reasons, including getting better control over material and quality to ensure the safety of their toys. Way to go Glickmans! 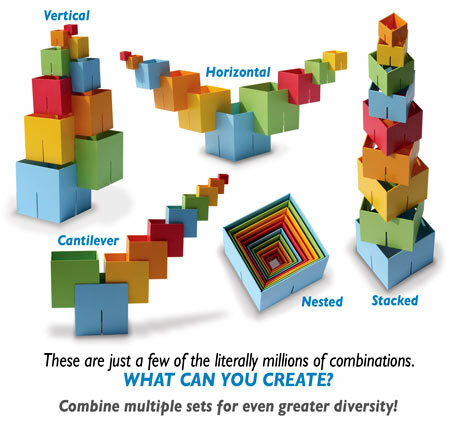 I don’t think Dado Cubes existed when I was a kid, but if they had I would have loved them. So, the next time you need to outfit small Americans with toys, give them American toys. They will be happy, you will be happy and so will the members of our extended American family that make the toys. Triple Win! I leave you with another hilarious bit of dialogue from Dr. Strangelove. Dr. Strangelove was arguably patterned on some of the Germans who helped the U.S. in the space race. Dr. Strangelove: It would not be difficult Mein Fuhrer! Nuclear reactors could, heh…I’m sorry, Mr. President. Nuclear reactors could provide power almost indefinitely. Greenhouses could maintain plant life. Animals could be bred and slaughtered. A quick survey would have to be made of all the available mine sites in the country, but I would guess that dwelling space for several hundred thousands of our people could easily be provided. This entry was posted in american made, China, Made in America, made in usa, Toys and tagged K'Nex, Made in America, Made in America toys, Made in the USA, Made in the USA toys, Mandrake, Slinky, Stanley Kubrick, Sterling Hayden, Strangelove, Toys. Bookmark the permalink. 1 Response to Childrens’ toys Mandrake! I bought the Dado cubes for my nephew. He and my other nephew love them! I would have gone nuts for them if they had been around when I was kid as well.